Really, we're lucky we don't have that super power — but there are lots of benefits to looking at X-rays coming from objects in space using telescopes. 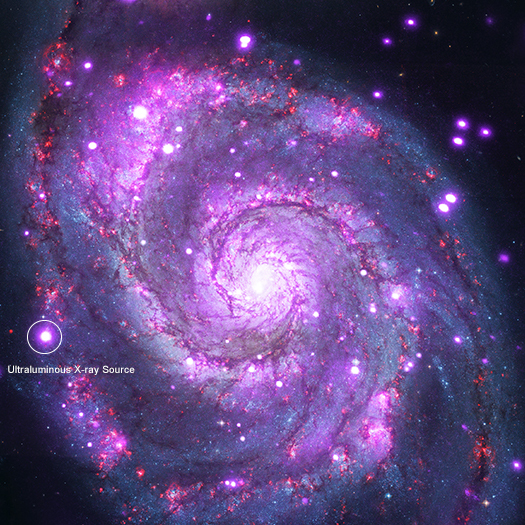 As more and more material falls onto the neutron star, there comes a point where the X-ray light becomes so intense that it actually pushes the material away. At this point the star shouldn't be able to gather material any faster or grow any brighter. But the newly discovered type of neutron star has found a way to break the limit! Cool Fact: Neutron stars are actually more similar to planets than stars — they can actually have a solid crust. Some scientists think that neutron star crust is around 10 billion times as strong as steel.